A meet with the emphasis on welcoming prospective new members. 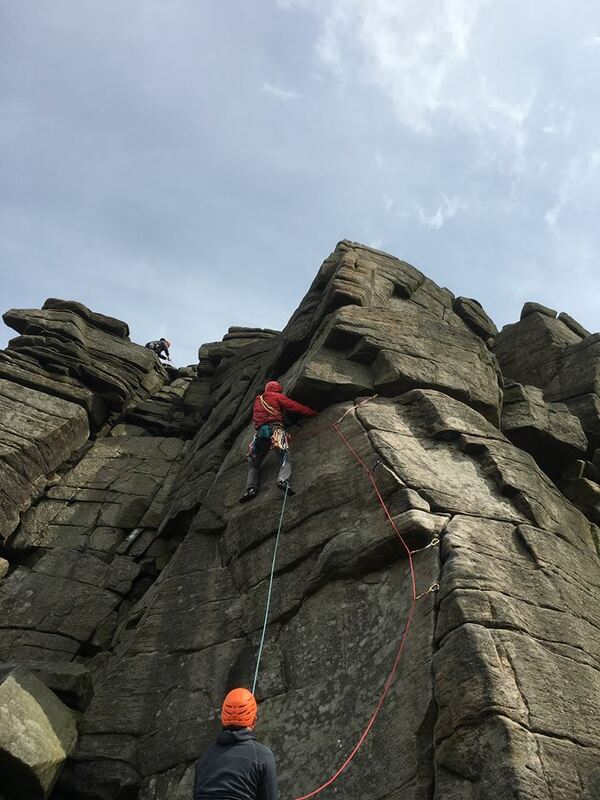 The Peak District has it all: very accessible climbing (Sport and ‘trad), bouldering, walking in the White and Dark Peak areas and mountain biking. 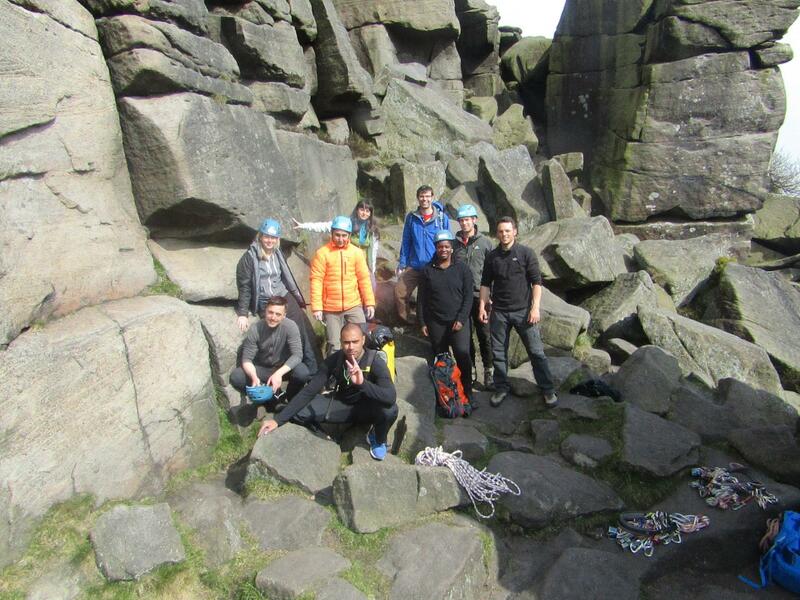 Ten prospective new members who are new to outdoors climbing will get 2 days of training from a professional instructor (in two groups). By the end of the course you will be able to set up top ropes and anchors and second a lead climber. 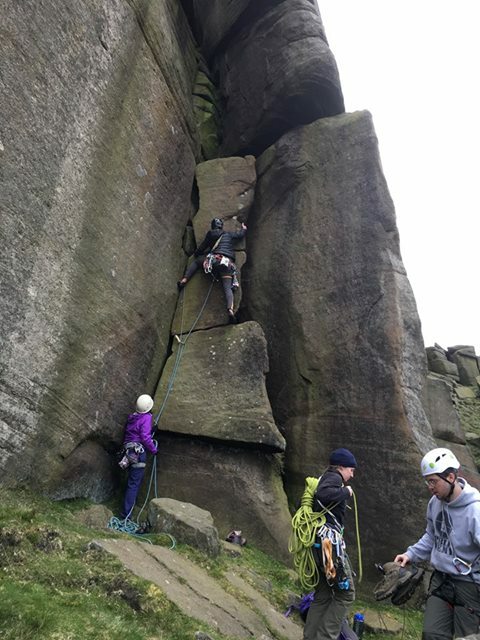 You will climb several gritstone routes of various grades on each day of the training. The ability to tie in and belay before attending are essential (climbing walls offer instruction). Bring your own rocks boots and harness. Helmets and ropes are provided. This is a camping meet. You will need a tent, mat, sleeping bag, waterproof clothing and footwear and ideally a stove to make hot drinks. Bring food for the daytime. 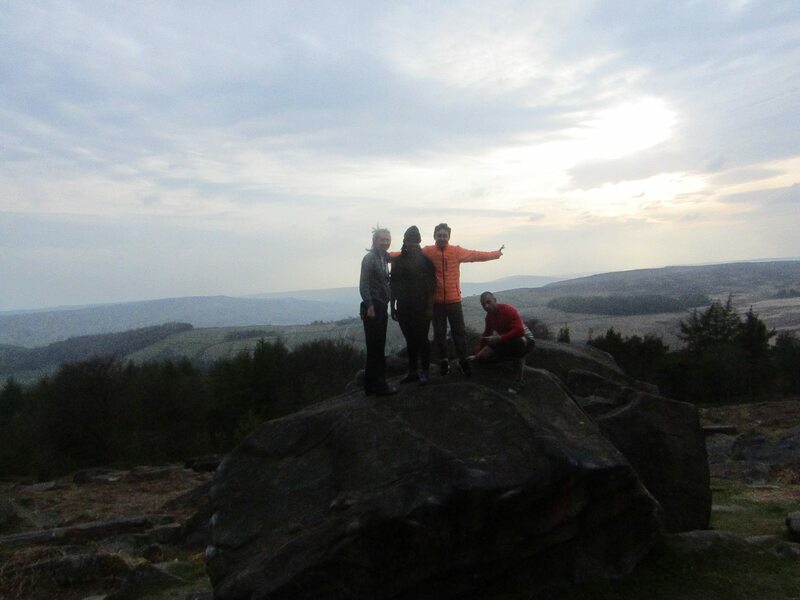 On Saturday night we will have tables booked for a meal in Hathersage, an opportunity to meet existing members. We will arrange lifts from London however if there are insufficient car spaces available, there is a train station at the venue or we can help coordinate teams to hire a car between 2-3 people.